I am honored and forever grateful to have been nominated for the Very Inspiring Blogger Award by Jim at Fit Recovery: Stay Clean Get Fit. He blogs about his recovery journey through his love of fitness. 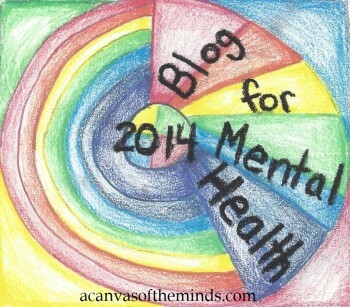 I published my blog on June 15th, 2014, 10 days after my discharge from the psychiatry hospital. I created my blog to share my recovery story, but also the thoughts, feelings, and daily struggles I have with my mental illness in hopes to inspire others to speak out about theirs as well and show them that it is okay and you are truly not alone. To my viewers and followers a huge thank you for taking the time to read my posts (some more depressing than others) and leaving me wonderful and encouraging comments. Please know that each and every one of you are in my support circle! Again, thank you! Thank the person who nominated you for the award! A warm, hearty, & standing ovation thank you to Jim for recognizing the good in my blog! Words cannot describe how much your comment on your blog means to me! 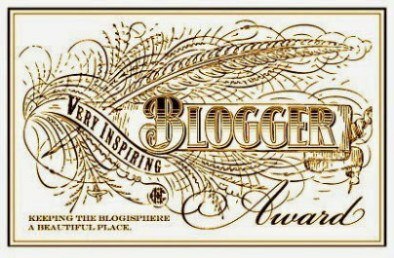 Add the Very Inspiring Blogger Award logo to your post/blog. Share 7 things about yourself with your viewers/followers. I successfully donated blood for the 1st time at age 20 in November 2013. I’ve always tried to donate blood prior however my hemoglobin levels were too low to qualify. I was always denied prior to that day. I was happy and cried when the nurse said I qualified. Knowing that I could help save a life warmed my heart. I cannot digest potassium (K). With that being known, I cannot, will not, and do not eat bananas or any banana-like products. I love buttermilk pancakes with syrup. I can eat a stack of 6 with 1/6th cup of syrup in a total of 2 minutes and 6 seconds with water ! I have a wide variety genre of music on my current playlist from 90s Hip Hop to Pop to Country to Musicals to Disney Soundtracks to Heavy Metal (yes, I love to bob my head to something loud every now and then) to Old School R&B to Electric almost any and everything. I enjoy listening to almost anything that has a great beat, bass, lyrics, and something that speaks to me! Follow me on Twitter to see me tweet random lyrics and now and then! The late Maya Angelou is my inspiration! I have read her best seller I Know Why The Caged Bird Sings a total of 31 times between the ages of 12 and 20 ( and I will continue to re-read her novel it is my favorite book!). I know her poem Still I Rise word for word and love to recite her poetry when I am feeling down. She has inspired me to write poetry myself. When I was an Out Patient at the hospital my support group called me the ‘young Maya Angelou’. I can go up to a week (a full 7 days) without talking or speaking to people. I usual use hand gestures and give stares to communicate when this happens but people just think I am being rude and plain ignorant. My family understands me when this happens I have yet to explain to my close friends why this happens. I am currently planning/working on something big that I plan to do this upcoming Fall Semester when I re-enroll back at my University. I have not told anyone about it yet; I plan to shock everyone when it happens and hope to inspire others in the process. I am excited and nervous to carry out my plan but I am trying to convince myself that in the end it is going to be amazing, inspiring, and beautiful! Nominate a list of bloggers who inspire you. All of my followers and the blogs I follow have truly inspired me since I’ve started my blog. Here are my nominations in no particular order, I’ve also linked their blog links to their names for you all to check them out, follow them, and support their work! Crazysunshine.me written by Jane e who has Major Depressive Disorder like me and journals about her recovery/experience when MDD entered her life. Her post You Know You’re Having a Mental Day When….resonates with me. Suicidal Transgirl written by a woman named Allison who suffers with Borderline Personality Disorder like me and journals openly about her struggles and battle with suicidal thoughts and self harm two things that again I can relate too. She speaks honestly about her thoughts and is one of my biggest blog supporters! Journey in the Woods written by a woman who journals about her struggle with infertility and infant loss, two things I have not experienced but I admire her openness and truly touched by her story. Her entries are from the heart! If you have not read their posts I encourage you to visit their blogs to get to know what it is like to live with a mental illness I promise, you will NOT be disappointed! Inform your nominees by posting a comment on their blog! Again, I thank you all and Jim for supporting Phoenix – The Rebirth of My Life and witness as I rise from the burning ashes of my mental illness.